Couldn’t Resist this Picture thanks dogtagart for the photo! 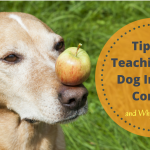 I grappled with the idea of calling this the 12 things your dog can teach YOU without really trying… but the truth is you are usually the one doing the teaching even when you don’t mean to be teaching. And, that is the whole point. You may think you don’t have time for training or your puppy or dog has had “no training” but that is not true! Every day of your puppy or dog’s existence is full of training especially if he is with you, but even if he is not he is learning through trial and error what is rewarding and what is not. He is either in control, or you are. Which do you prefer? Would you like to be in control, or would you prefer your dog to train you to do everything he needs? Now, don’t get me wrong; not everything that your dog teaches you is wrong or even BAD, actually if you and he do it right you can work out a very symbiotic relationship where you reward the things that you like and he chooses to keep you happy because he likes the rewards and what comes from doing what you like. This is actually my favorite way to train, because the dog has no idea you are training him, instead he thinks he is training you to reward him!!! 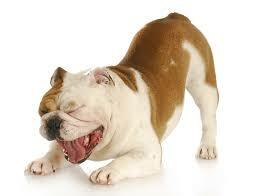 Sit: All dogs sit, it is a natural behavior and it HAS to happen at some point. Even dogs that find sitting uncomfortable like Greyhounds and Whippets (because of the muscles in their legs and their conformation) sit at some point in time. If you reward their choice to sit, when they sit with a treat and praise, you increase the likelihood of it continuing to happen! And, sit is a great behavior, so you want to see it as often as possible. It is easy to reward when it happens! 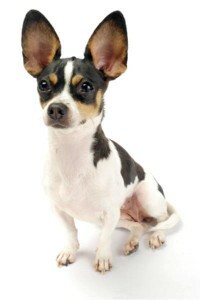 If your dog is choosing to sit, he is not jumping on you or other people or doing other naughty behaviors. Down: Down is just like sit except down is not uncomfortable to any breed. Down is a natural behavior that HAS to happen and happens with regularity many times throughout the day!!! And, again if you reward it you will see it begin to happen time and time again. 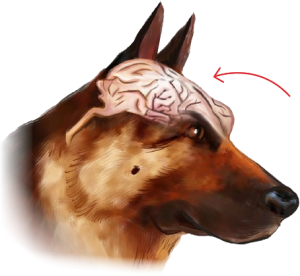 Many dogs don’t like to be forced to lay down (think of the dogs that fight the old compulsion methods) but if you reward the behavior when they choose to do it, you are increasing the likelihood of seeing it more regularly. Once he begins doing it with regularity you can add a command or a “cue” and the behavior become under your control. DOWN is one of my favorite behaviors! Stay: Stay is another behavior that is pretty natural! Hard to believe stay is a natural behavior, right? 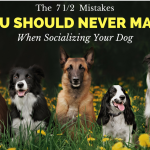 It is especially hard to believe for people who can’t get their dog to do a 2 second stay! Do you know why it is so hard to teach? It is hard to teach because the existing behavior is not being rewarded. When we teach stay, we are trying to FORCE our dogs to stay; not rewarding them for patience when they are already sitting or lying down and staying as a choice they have made. Even if the stay only lasts a fraction of a second in the beginning it doesn’t matter, if you reward it the duration will get longer after they begin to understand why they are being rewarded! 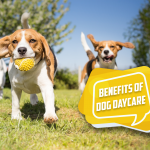 Add to that, that when we are training our dogs we are very often training “action” your dog gets rewarded for sitting, or laying down, or heeling or some kind of quick movement, he is rarely rewarded for not doing anything. Later you will build on that fraction of a second and can make your “stay” longer and longer until you can leave him out of sight for 10 minutes or more! We expect our dogs to come when we call them, but we want them to come to us out of sheer joy and commitment to our relationship. We don’t want to feel like we have to reward this behavior or teach this behavior. The truth is our puppies or dogs do come to us in the beginning of our relationships out of joy and commitment and the joy of being with us; but then they realize there is a whole world around them and the kids down the street may be more rewarding than we are so they learn to reward themselves. Which is why you need to follow these 5 principals for how to train your dog to come every time you call. 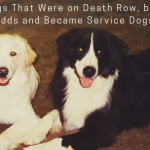 They also learn that sometimes we may be mad when they finally come, or we do bad things like trim their nails, put them in crates or give them baths; and they don’t want to risk that. In order to keep this behavior strong, it needs to be the most rewarding thing that can happen to them! We need to make sure every time he comes he is rewarded with the best thing possible; great treats, toys, games and fun. When we are more rewarding than everything else going on around our dogs then we are doing dog ownership right! For more on teaching come read click here. Heel: In the beginning almost all dogs choose to stick by our side when we take them out. But like I discussed when talking about come when called; they soon realize that we aren’t the most fun thing available to them. They begin to sniff and pull and learn to reward themselves instead of being rewarded by us. I think this is another one of those things we “expect” from our dogs. 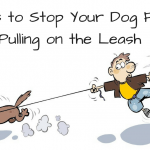 We expect them not to pull us or be unruly on the leash, and yet this is one of the most important things we need to teach our dogs, is how to act and react on leash. They must be rewarded for choosing to stay with us and not pull on the leash and the reward has to be more exciting than the distraction (all the good stuff to sniff and the neighbors and everything else that is going on!) For more on being more rewarding than the distractions click here. 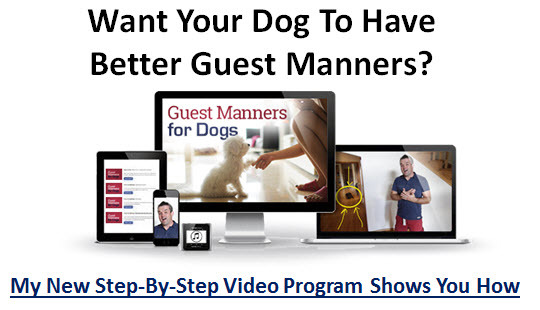 For more on leash manners click here. Want Your Dog To Have Good Leash Manners, Too? I really enjoyed reading your comments and suggestions. I have a beautiful black Great Dane who is 22 months old. He is lovable but isn’t well trained so your suggestions are welcome. Thank you but what is the 6th thing all dogs should know? You have only posted five: Sit,down, stay, come, heel. Also how do I find the 12 things one can teach a dog without really trying, that you mention on this web page? I cannot click on anything and find it???? As stated in the article it will be an upcoming release… so maybe later this week sometime it will be posted. MY dog, Miss Daisy, does well with these commands but she doesn’t respond to treats. She loves it when I say “good girl” and pet her. However, barking at anyone who comes to the front door, at skate boards, at squirrels, and at bikes on the sidewalk are her failings. I have tried several deterrents but, so far, none has worked. 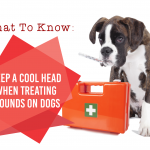 Because a good pet, isn’t much of a reinforcer when it comes to behaviors that a dog finds rewarding. You have to find something that is more rewarding than the door, squirrel, etc. I have a 15 month old GSD who I am working hard with on all of thoese commands – thanks! Thanks for reminding me about these tips. Unfortunately I have two 2 year old standard poodles. Training both at the same time is a challenge and when I try to put one away (in another room) the other one is more interested in looking why his brother is behind a door. My house is like a circus at times. I guess I need to put more effort in training them instead of them training me. I was very pleasantly surprised that my 6mth old goldendoodle (Freddie) and I have managed to tick these so far 🙂 looking forward to the next instalment. Hello, I have collected all the email you have sent but have not read one till now because of ill health. So I am hoping to go read them now that I am a wee better than I was how ever my question to you is I am 60 odd years of age & partly disable with a knee replacement last mth & am finding it hard to control the children, & my full time carer who helps with the dogs has no control over them at any time unless it’s tea time & she has their food with her. # of the children will sit & wait for the food to be put down with a commarn to follow for them to eat & then they will move in to eat however the other 2 new children that arrived did not do a thing we have nearly got them to the stage where they wait for the food & commarn to move in to eat but it’s taking time as they are older but we keep trying with them but I can’t understand how my carer has no control over any of them except for dinner time. Yes you could say it’s a reward for doing good they get feed but I don’t look at it that way for they were trained to sit & wait way before tea time. I am a big beliver in high prase for good work by the trainer for if they are excited the child gets excited with plenty of pats & hugs ect but I can do that any more lord knows I try but my disableness stops me a lot but I would like my carer to be able to have control of them more than she has can you help her at all ???? PSS sorry the children I talk about are my Pedigree German Shepherds, as (I am a part time breeder)I say that because I believe my girls need 12 mths or more after a litter before they have another litter for I breed for the like of a good strong Shepherd not the money like a lot of people are for the money & that is not a good dog. I hope you can help my carer become stronger in her way with the dog trainer thankyou Heather. This is help for you, not the dogs. You are having trouble with you new knee. I am 76 and have had a double knee (both a one time) done. The trick is not to rely on anyone but yourself if possible. I was walking alone in 5 days, home in 7. Everyone works so if I didn’t get up off the couch and fix something I would starve. By the second week they sent a home therapy nurse to work with me and by that time I didn’t need her. Action (and your pain pills) is how to get better faster. You were lucky, 3 broken hips in under a month here. 4 years later still unable to walk. At the time, I had a 1 year old Chihuahua. Luckily all I have to do is say the word “cookie” and he’ll pretty much stop in his tracks and come running to me. Out of the 5 Harley (18month old Leonberger) will do all of them very well in the garden! On a walk – well that’s a different story!! 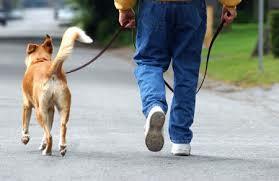 If there are no distractions he walks to heel most of the time (I use a gentle leader). If I stand in front of him – he will sit, 60% of the time he will sit when I am at the side. he will lie down – but gets up immediately. Come! well I might as well talk to the trees! If he is off the lead, especially on the beach – he will run up into he dunes (Rabbits!!) He is not interested in treats or petting but just gets so focused like a dog on a mission. Needless to say he is not off the lead very often – which I feel is a shame. Still we keep working on the basics – so fingers crossed!! He should not be off lead until his obedience is 95% of the time!!! 60 is barely most, he needs more time spent on obedience… you can make it fun; but he needs to listen more! When i take my dog to the beach he loves to play ball in the water, i have his attention 100%…he knows if he runs off the leash comes back out and the ball away. Exactly!!! Now if everyone would learn that trick 😉 and be that consistent! I have a 6 month Great Dane that I still can’t even get to sit. She is still not potty trained, won’t drop her toys on command, wont “leave it”, sits on the furniture. I’m starting to feel its hopeless. Like the article says, start rewarding the good behaviors and you will begin to see those behaviors consistently. For the other problems use the search button to the right and search for other articles that will help! My 1 year old shih tzu is getting to be like an arguing child barking at me when I tell her no or to back off…also when I try to teach her to shake and try to take her pa she nips at me and runs away ?? Put them in your pocket or fanny pack at first, if she is not constantly rewarded she will give up on following you around everywhere and she will begin to realize she is being rewarded for the things you like. My dog is 9 months and can do all of them except heel. I’m trying to teach her it but she just seems to not want to do it. Thanks for all the tips and information. One quick question please. I’m getting a puppy this summer and it been so long that I really can’t remember the last time I brought a puppy home. I’m older now and retired with lots of time to devote to puppy training, my question is, should I get two puppies so that they can play together when I gone? no, no, no, no! Don’t get 2! 2 compounds all of the work and problems and requires a whole other level of training. And, siblings have trouble figuring out their status. Think of twins and how they sometimes rely on one another and adopt personality traits of the other. 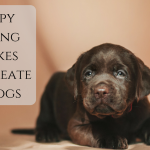 After several months and after the first puppy is house trained and has been through obedience and everything is going well, then you can add another puppy or another dog, but allow yourself the time to work with the first puppy before you force 2 on yourself. Hello, I’m at my wits end! 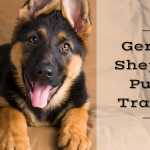 I started with one puppy and could not get him potty trained before my husband brought home a 2-year old who WAS trained. Because the puppy’s behavior was so bad, the 2-year old has reverted to its behavior and is now pooping in the house (sigh…). I have a mini schnauzer 4 months now and when she came home I’ve tried giving her a treat every time she pee in the pad and she was doing well now that she is 4 months she go back to pee wherever she wants… I punished her in her cage and is like nothing she pee the cage too… What do you suggest? Please don’t give up on your Great Dane. They are such a wonderful breed. Some give you such a hard time, but they are so worth it in the long run. After my first, I thought I would never get another, and now I am on my 3rd and 4th at one time. The hands off training is the only way that you can teach two at once and really be consistent. And the clicker is a godsend. Having such a great time with these two. Be consistent and patient. In my experience, Border Collies prefer to “lie down” over “sit”. My retrievers preferred to “sit” over “Lie Down”. My Poodle puppy just hates to lie down but will sit willingly. For having a dog that is under control, I work on having one or the other command down solid. I don’t worry so much about the other command, but eventually will get it fairly consistently. My dog will come to me in the house when I call him but, when we are outside he does not come when I call him! Please HELP!!! What can I do? I’m glad I found you ! 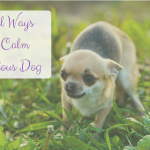 All the other advice I had received for my difficult , “PTSD ” rescue Cocker Spaniel kept making him more and more angry. Thank you !